Recently, Usher took some time out of his normal concert promotional activities to spend some quality time with his real target audience: kids. Kids love old dudes who make their moms horny, right? Right. The Confessions singer read a book called "If Kids Ran the World" to a theater full of mostly well-behaved kids, followed by a Scholastic Books Q&A session that came off like he was appearing on Inside the Actor's Studio with James Lipton. Doubtlessly, the schoolchildren were wondering when recess would resume and how they could climb their way out of Usher's eye line without getting in trouble: still, the R&B veteran reading aloud is cute nonetheless. 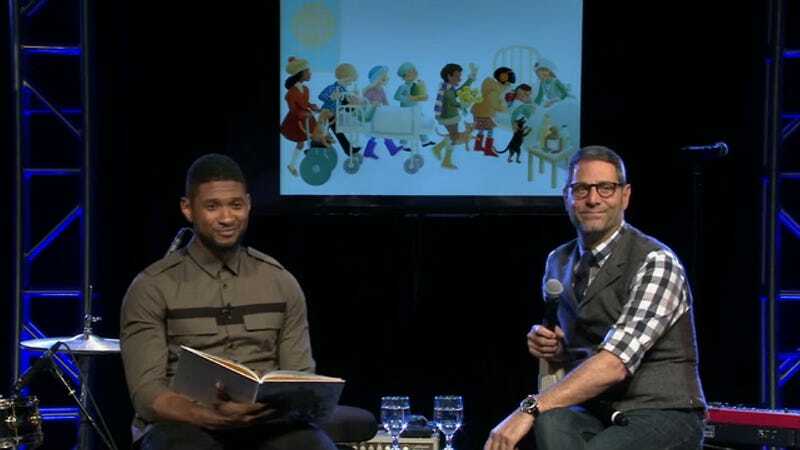 Watch Usher read and get misty.